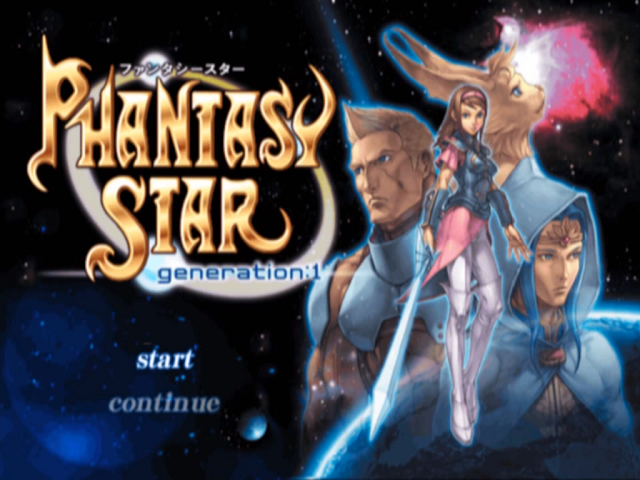 Phantasy Star Generation:1 is a role playing game for the PlayStation 2. The translation was made to be as accurate as possible. However, the translator felt it was necessary to make one major change. In the beginning of the game, Alisa looks over a cliff and asks Nero to protect her. While this is probably a more powerful for the Japanese, to the translator this doesn’t fit the scene and feels out of character for Alisa compared to the original Phantasy Star. It was changed to have Alisa swearing to avenge her brother’s death and to make La Shiec pay. 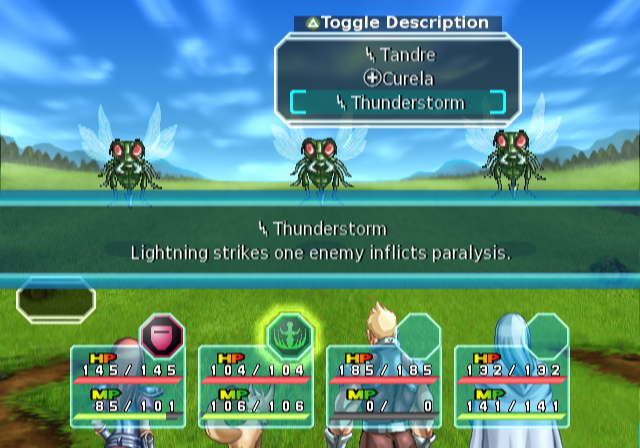 Some other minor changes have been made since then, but they’re small enough that they won’t affect your enjoyment of Phantasy Star generation:1. Check the readme for more information. With this v2.10 translation of Generation:1, there are no more abbreviations; in other words, ALIS is no longer going to EQP her LACONSWD. Spell names are restored to their full nonsensical glory, character names are their original intentions, abbreviations are expanded, menu graphics have been remade, and dialogue is updated and clarified. 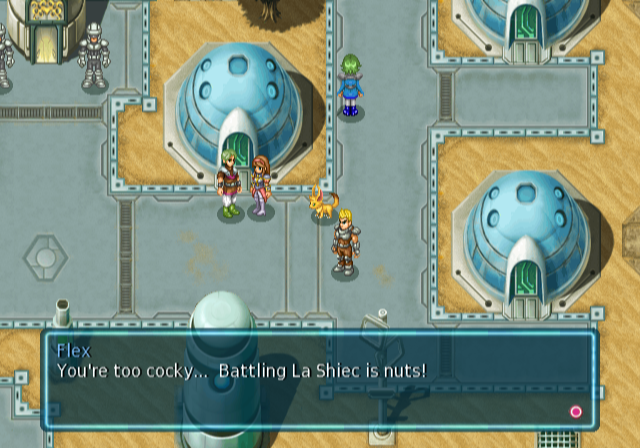 Note from the team: This translation is currently unplayable on real hardware by any method; after battle, character graphics will glitch out on the world map. Currently, no one is able to help the translation team fix this. 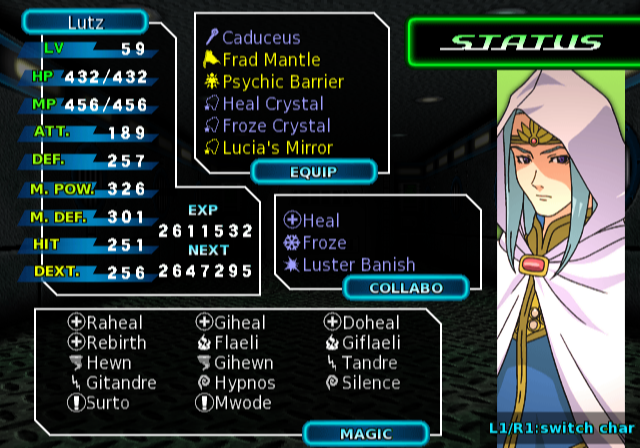 I played the original Phantasy Star many, many moons ago, but I always did have a soft spot for the series. When I saw a remake of the first game with amped up graphics, I knew I wanted to play it, and this translation was the perfect way to do so. Overall it’s a very clean job, and you won’t be disappointed by the writing. That said, this game is probably even more brutal than the original in certain places, so you may want to get your maps out and get ready for a slog gameplay-wise. 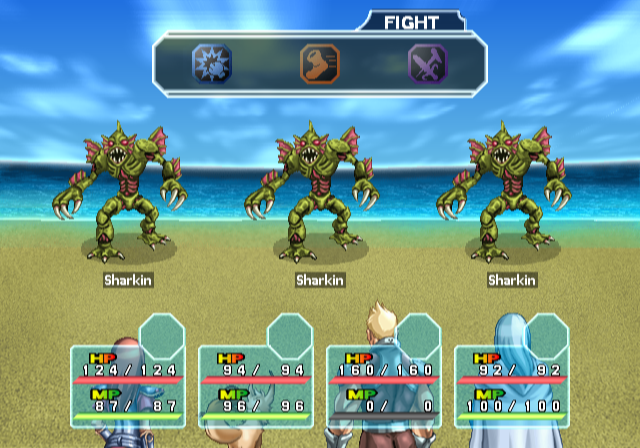 If you’re a fan of Phantasy Star, pic this up–if you don’t have an affinity for the setting or old-school RPG’s (which this still is), avoid it.